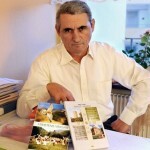 The book “Traces of Albanians in Sweden” has finally been printed and published. 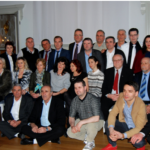 Elhamie Zhitia,Astrit Gashi, Shuquri Sejdijaj and Muhamet Krasniqi have dedicated long working hours and devotion to an important contribution to the Kosovar and Albanian Diaspora in Sweden. 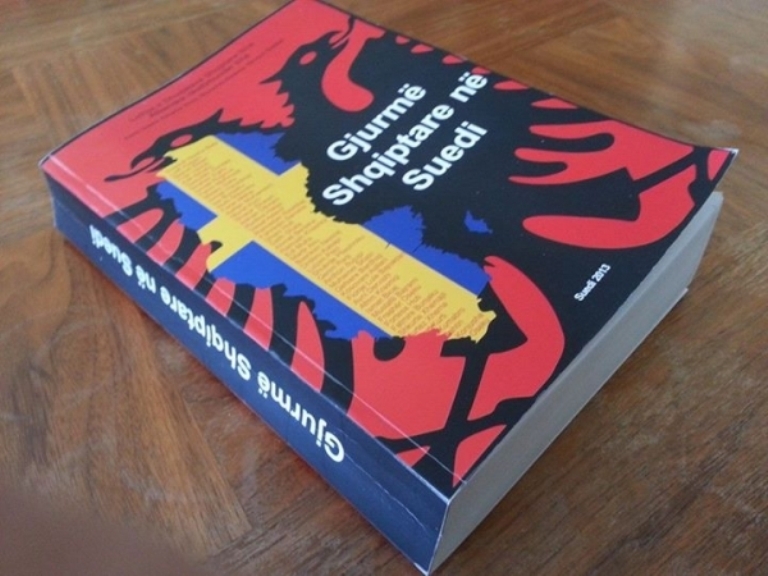 The book is a collection of stories concerning the lives,aspirations, success, dreams, failures, struggles and nostalgia of 88 individuals sharing their life stories as Albanians in Sweden.The authors describe the book as an attempt to immortalize these emotions and struggles of the warm diaspora living in the cold Nordic state. 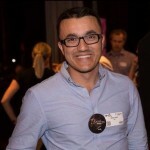 “Without a doubt there are countless other stories and people that should be included within the pages of this book, however, this time due to the page limitations, these are the ones we could grasp” claimed Astrit Gashi, one of the co-Authors. This book is unique due to the fact that it is a mosaic like compilation of the diaspora. It includes original stories based on true characters whom due to different circumstances were forced to leave the homeland and emigrate to Sweden. Each and every story contains a lesson to be learned, each story is characterized by long and countless struggles that culminate with success. Muhamet Krasniqi, another co-author claims that one book is not enough : “Even ten books are not enough, this book contains only a fraction of the population, there are countless other good examples that should be taken into account from successful Albanians living here”. Based on the authors, the first recorded arrival of Kosovars in Sweden is around the 60s, whom through the years have achieved the estimate number of 50-6o thousands.